Experts and scientists joined the Heartland Institute’s excursion to Katowice, Poland, this week for the United Nations (U.N.) COP24 conference on climate change. 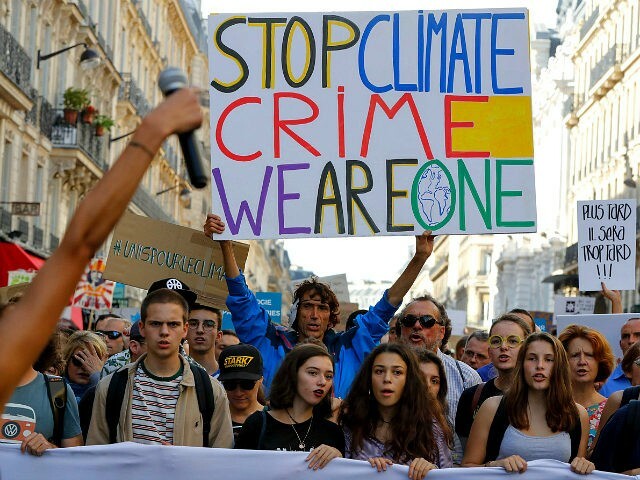 But the free-market think tank set up shop a few blocks away from the conference site so they could make the case against the U.N.’s agenda to fight so-called manmade climate change. “What they want to tell us is that humans are creating a global warming crisis that necessitates people sacrificing affordable energy, people sacrificing abundant energy, and people sacrificing their own individual and national rights turned over to the global climate bureaucracy,” Taylor said. Taylor said the institute’s goal was to counter the U.N.’s theory about manmade climate change with some cold, hard facts, which speakers discussed and showed in the form of charts and graphs, including some of the U.N.’s own findings. Taylor said the group was armed with plenty of scientific facts, including those to counter the U.N. and other environmental activists claims that wildfires, hurricanes, and droughts are linked to manmade climate change. In 2017, for example, the federal government said, the “drought in the U.S. fell to a record low this week, with just 6.1 percent of the lower 48 states currently experienced such dry conditions,” USA Today reported. As for a U.N. official’s claim at the conference that 20 of the last 22 years are the hottest on record, Taylor said that is because the U.N. is using data only back to the start of the 20th century instead of going back thousands of years where you can find time periods that were warmer than in recent years. The United States has mitigated how to deal with pollution very successfully, Taylor said. “Therefore there is no need for any policy for reducing, regulating, or taxing CO2,” Ludecke said. Dennis Avery, director of the Center for Global Food Issues, said mankind had improved the environment in many ways. The institute also released a report, Climate Change Reconsidered II: Fossil Fuels, put together by the Nongovernmental International Panel on Climate Change (NIPCC). “Over 100 scientists contributed to the nearly 700-page volume documenting how fossil fuels have provided spectacular net benefits to human health, human welfare, human living standards, and the global environment,” Taylor wrote of the report. Follow Penny Starr on Twitter.